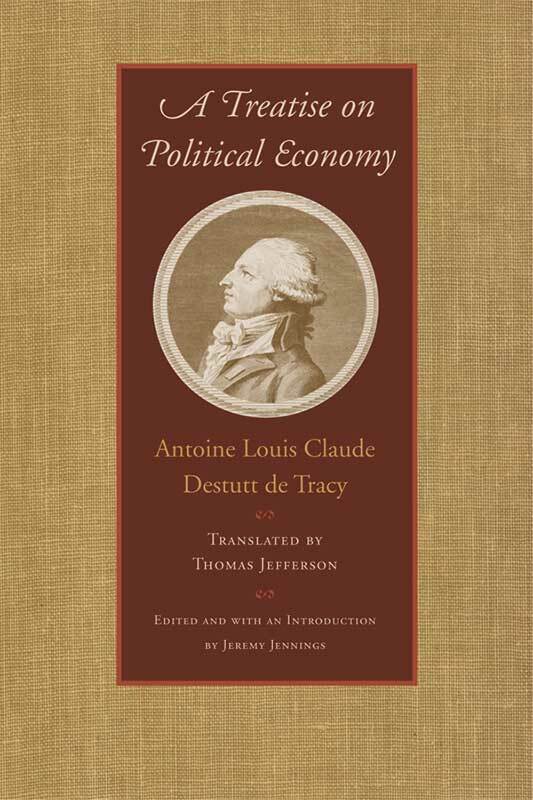 A Treatise on Political Economy by Antoine Louis Claude Destutt de Tracy (1754–1836) is a foundational text of nineteenth-century, free-market economic thought and remains one of the classics of nineteenth-century French economic liberalism. Destutt de Tracy was one of the founders of the classical liberal republican group known as the Idéologues, which included Jean-Baptiste Say, Marquis de Condorcet, and Pierre Cabanis. In this volume, Destutt de Tracy provides one of the clearest statements of the economic principles of the Idéologues. Placing the entrepreneur at the center of his view of economic activity, he argues against the luxurious consumption of the idle rich and recommends a market economy with low taxation and minimum state intervention. Jeremy Jennings is Professor of Political Theory at Queen Mary, University of London. Introduction, note on the text, editorial annotations, index.